Watching Disney movies old school way. 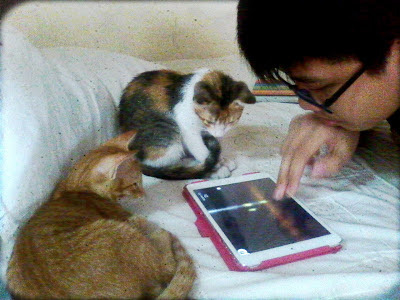 There are 3 creatures growing fat in our household: Our two cats- Sam and Solenn- and my li'l bro. Apologies for the long hiatus. I have been busy mostly with workshop activities plus the homework that came with it. Our graduation exhibit is just a week away and I've been focusing my energies on the last art piece which s watercolor on a 15"x20" illustration board. Will post the finished output probably next week. 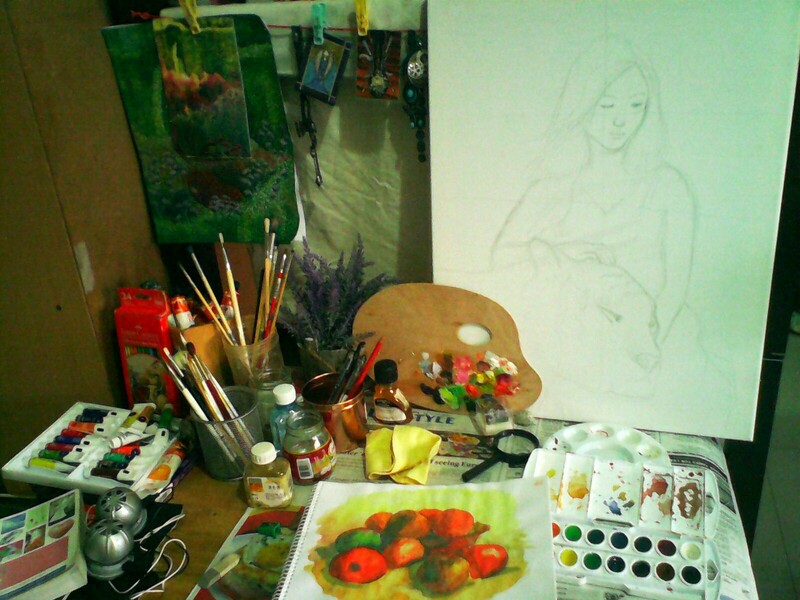 Meanwhile, here is a picture of my tiny workspace. Where the magic happens. Or self-induced creative agony. The canvas you see there with the rough pencil sketch is my next art piece. Can't wait to work on it after workshop graduation. This is my draft of it in my sketchbook. I'm still going to make some changes as I go along so this is only a general idea of the painting. 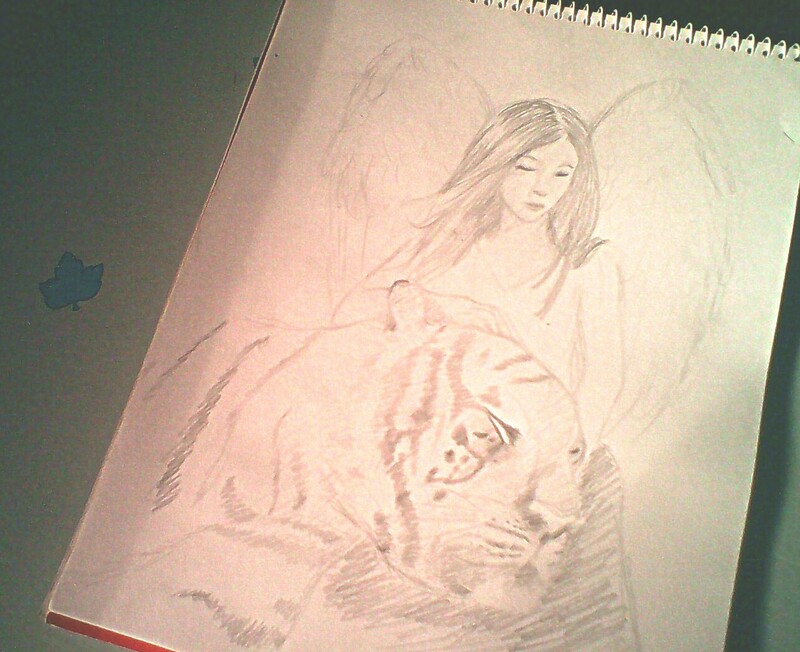 A big shout out to my lovely friend Aly Teh for letting me use her profile picture as reference. <33 so pretty!!!!!!! 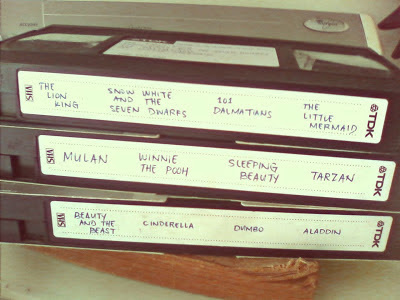 and YAY FOR VHS TAPES!!!!!!!!!! !